Lately I have been very involved with code quality, not just in terms of testing and actually working, but also on a deeper level, readability and plain good architecture. At my previous employer we had been working for a good while already applying rules from “Object Calisthenics” a concept by Jeff Bay, a simple set of exercises that helped identify bad code and improvements points. Once I saw this book show up at O’Reilly I did not blink and made a purchase. 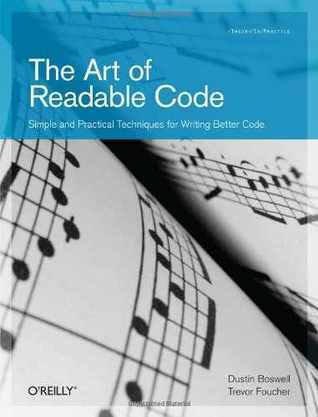 “The Art of Readable Code” was written by Dustin Bowell and Trevor Foucher and basically focuses on concepts and suggestions to make you code not just readable, but comprehendible by other developers, or as the author’s suggest, yourself in six months. Code readability is a topic that I truly believe the PHP community does not focus enough on and i really wanted a look at this book to see what kind of ideas it had and what I could do my best to bring to the attention of other developers. After reading this book you will look at you code a little different, I can assure you. I agree with most of what’s on the book (except part of the test chapter) and i really believe more developers should see these points and work on them. So if you write code, pick up this book, its a very light read and very pleasant one as well. It kept me good company on the trams to and from work, and even walking, that’s how easy going it is. So go get it, read it, learn from it and make your code better. This entry was posted in Books, Pessoal/Off-topic, PHP, Reviews and tagged PHP, readable code. Bookmark the permalink.